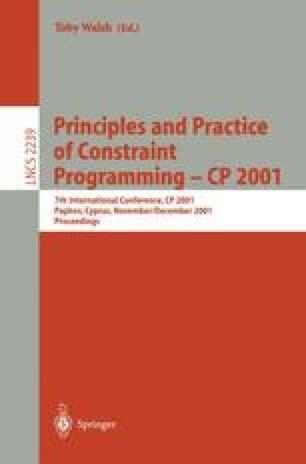 Although constraint programming offers a wealth of strong, general-purpose methods, in practice a complex, real application demands a person who selects, combines, and refines various available techniques for constraint satisfaction and optimization. Although such tuning produces efficient code, the scarcity of human experts slows commercialization. The necessary expertise is of two forms: constraint programming expertise and problem-domain expertise. The former is in short supply, and even experts can be reduced to trial and error prototyping; the latter is difficult to extract. The project described here seeks to automate both the application of constraint programming expertise and the extraction of domain-specific expertise. It applies FORR, an architecture for learning and problem-solving, to constraint solving. FORR develops expertise from multiple heuristics. A successful case study is presented on coloring problems. This work was performed while this author was at the University of New Hampshire.